NAPLES, FL--(Marketwired - September 29, 2016) - uBreakiFix opens in North Naples on Oct. 1 at 1201 Piper Blvd. This is the brand's second location in Naples, joining a location at 9th Street South. The growing technology repair company specializes in same-day repair service of small electronics, repairing cracked screens, water damage, software issues, camera issues and most other technical problems at its more than 240 stores across North America. uBreakiFix North Naples is co-owned by Alex Casanova and Charles Ancona, who also co-own locations in Apopka and Altamonte Springs. In addition to their shared locations, Casanova owns uBreakiFix Naples, and Ancona owns uBreakiFix Coral Springs. "The Naples area has experienced tremendous growth in the last few years, so it feels like the perfect time to expand uBreakiFix in order to meet the growing demand within the community," said Casanova, a Naples native. "We're excited for the opportunity to share our high quality tech repair and exceptional customer service with new customers in North Naples." uBreakiFix North Naples invites the community to celebrate its grand opening at the store on Oct. 1. The store will have refreshments for all customers on opening day and will offer 10 percent off all repairs through Oct. 7. The Greater Naples Chamber of Commerce will also host a ribbon cutting ceremony on Oct. 11 to formally introduce uBreakiFix North Naples to the business community. The increasing cost of devices has made technology replacement difficult and expensive, which motivated savvy millennial duo, Justin Wetherill and David Reiff, to provide another option. uBreakiFix was founded in 2009, and the pair later partnered with Eddie Trujillo to offer a brick and mortar tech repair option that was quick, affordable and most importantly, provided a quality customer experience. "We want to build trust with our customers by taking the traumatic experience of damaged devices and making the repair process simple," said uBreakiFix founder Justin Wetherill. "As we expand in Naples, we want the community to know there are options beyond replacement, and uBreakiFix is here to provide them with a trusted alternative." 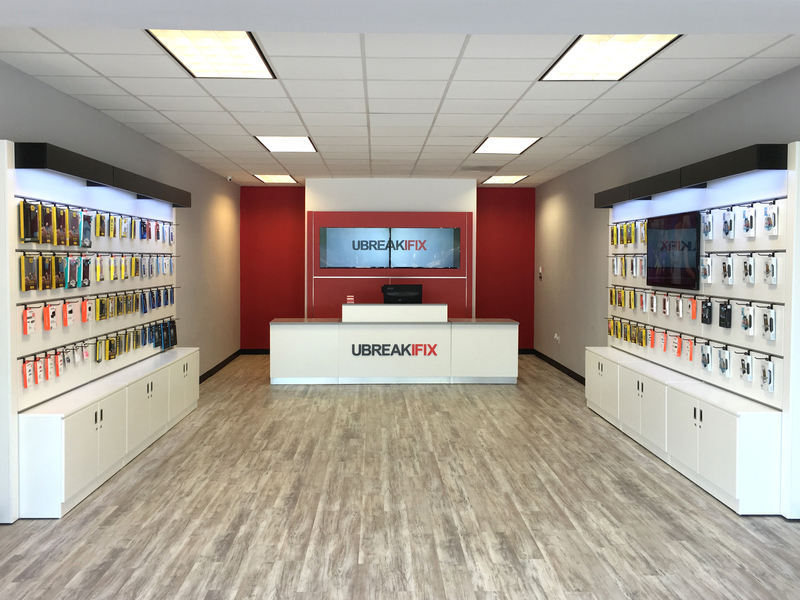 uBreakiFix opened 51 stores during the first and second quarters of 2016 and expects to have 275 stores across North America by the end of the year. uBreakiFix North Naples is located at 1201 Piper Blvd. Suite 23, Naples, Florida 34110 and can be reached at (239) 734-3817 or northnaples@ubreakifix.com. For more information and to view a service menu, visit ubreakifix.com. Founded in 2009, uBreakiFix specializes in the repair of small electronics, ranging from smartphones, game consoles, tablets, computers and everything in between. Cracked screens, water damage, software issues, camera issues and most any other problem can be repaired by visiting uBreakiFix stores across the U.S. and in Canada. For more information, visit ubreakifix.com.